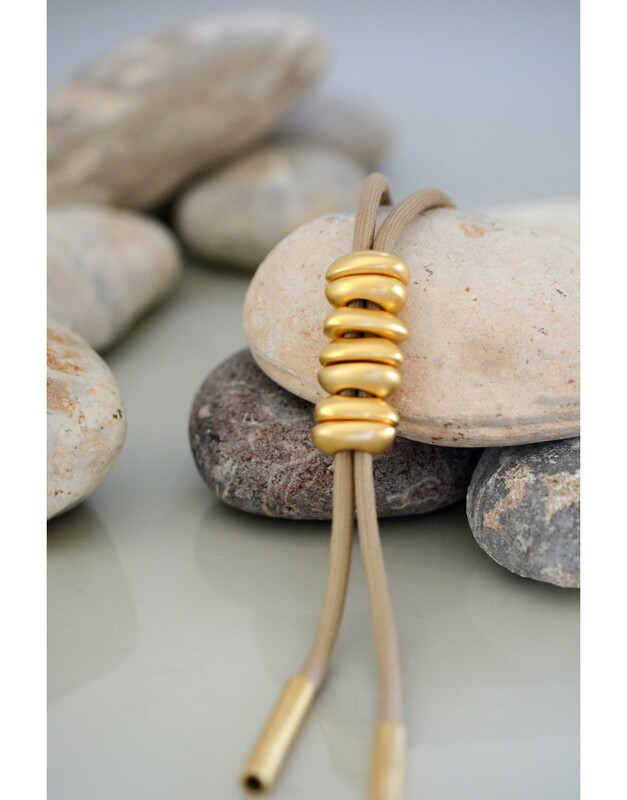 Delicately hung from a cotton stone color rope, this tie-shaped necklace features matte gold color plated pebbles that are chic, artistic and unique. 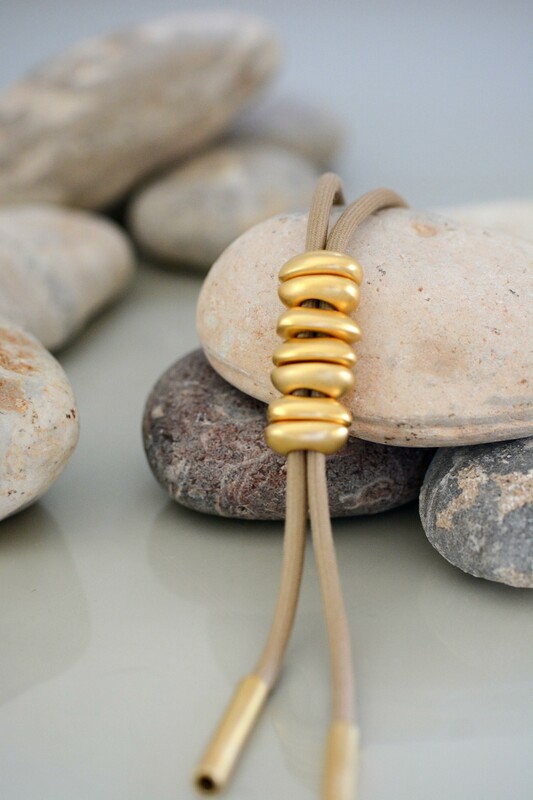 Small, pebble-shaped pewter pieces, plated with matte gold coloring, create a beautiful and flattering look. 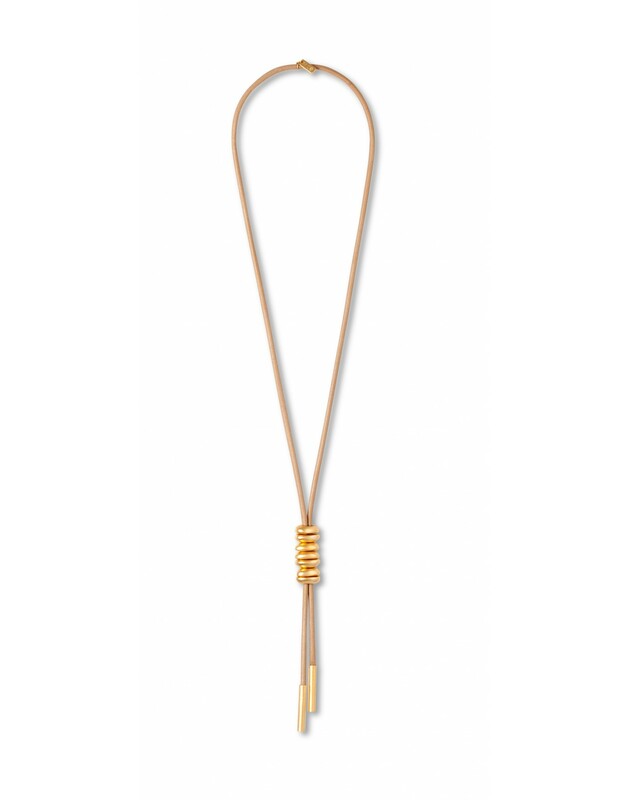 Delicately hung from cotton stone color rope, this tie-shaped necklace is chic, artistic and unique. It's perfect for a day spent relaxing with friends, enjoying the sights or kicking back with a good book and a cup of tea.